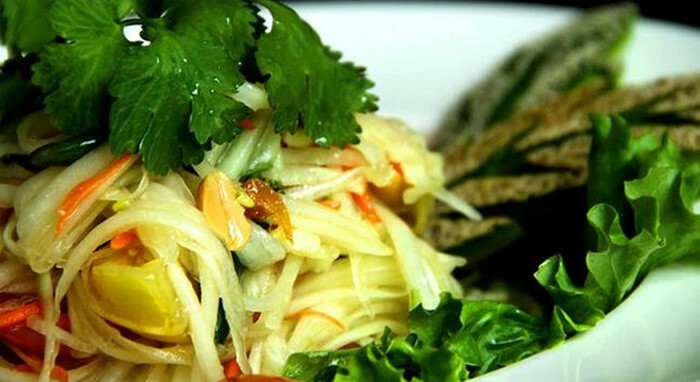 At lunch, patrons can enjoy traditional favorites like Pad Thai Noodles or Thai Stir Fry . The dinner menu offers appetizers, soups, salads and a wide array of chicken, pork, beef or seafood entrees. Dinner entrees, which are usually prepared with traditional Thai ingredients like coconut milk, bamboo shoots and curry spices. There is also a kid-friendly menu with less exotic fares like chicken nuggets, chicken teriyaki and fried rice.